Smartphones have evolved drastically over the past few years, and the one aspect of these phones at the forefront of evolution has been their camera, or should I say cameras. Smartphone cameras have already rendered point-and-shoot cameras obsolete and their next target is none other than DSLRs. Last year saw dual cameras go mainstream and this year has already seen the lens count go up to four, and that too at just the back of the phone. Like most things in this space, it’s part engineering and part show business. 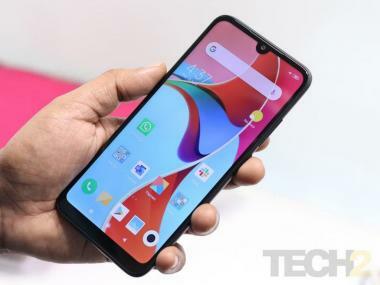 While some phones use the multiple lenses smartly to enhance image quality and provide newer features to the users, others use it as just a marketing gimmick to enhance the flaunt value of the handset or achieve random statistical milestones. What matters at the end of the day is image quality in varied lighting conditions and it doesn’t matter whether you achieve it with one lens or four or a brilliant image processing algorithm. Speaking of an algorithm, this year also saw the use of AI (artificial intelligence) to enhance photography on phones. Though it is far from perfect, it’s a significant addition that deserves a mention. While it’s still early days for the technology, AI in cameras has already gone from stupid to use in just a span of 11 months, and that is commendable. But, let’s cut to the chase and take a look at the top phones that graced us with great image quality in 2018. In this article, we won’t bother about the pricing and value for money and simply focus on the camera output. For all the talk about an increase in the number rear camera lenses, the latest Google Pixel phones manage to do a phenomenal job in the photography department with a single camera at the back. 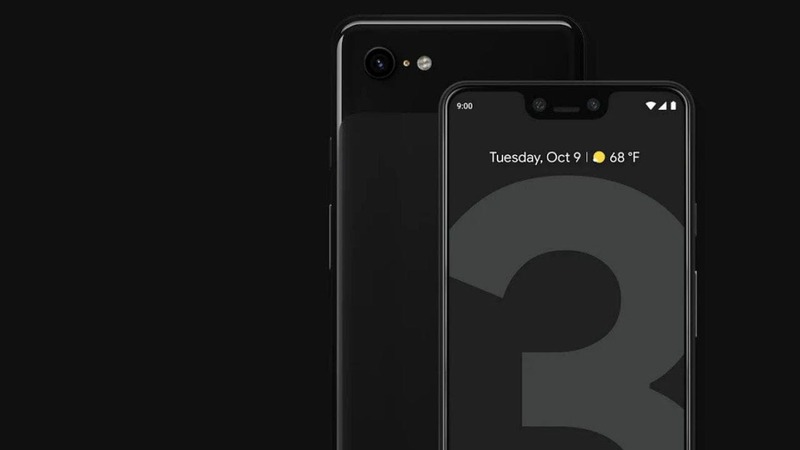 The Google Pixel 3 and Pixel 3 XL come with a solitary 12.2 MP sensor that manages to capture arguably the best looking images in the market in most lighting conditions. The primary utility of the second camera module on a majority of phones is for depth sensing, especially for your portrait shots (bokeh mode). Ironically, the new Pixel devices click the best portraits currently seen with a single lens. It separates the foreground and background to perfection and delivers a DSLR-like image. The 28 mm wide-angle lens with f/1.8 aperture comes with dual pixel PDAF and optical image stabilisation to compensate for your shaky hands. While Google has persisted with a single lens at the back, the selfie enthusiasts get an additional lens up front. The 8 MP + 8 MP dual camera setup manages to capture the best selfies among all its peers courtesy of Google’s synthetic lighting techniques that expose the face accurately in all lighting conditions. This is true for regular selfies as well as portrait mode selfied. If that wasn’t enough, the wide angle mode now reduces the need for a selfie stick. 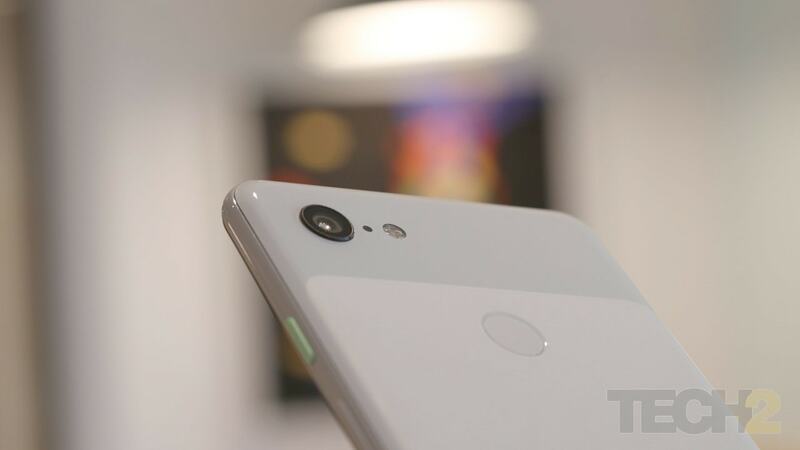 All said and done, the Google Pixel 3 and Pixel 3 XL offer ample options for all kinds of photography enthusiasts and is a worthy successor to the Pixel 2 lineup that topped the photography charts in 2017. The Apple iPhone XS Max was quietly referred to as the best iPhone ever, rather than the best phone ever or currently around and for the right reasons. The new Apple flagship may have made headlines for its obnoxious pricing more than anything, but it still has a cutting-edge camera module to make it to our list of best camera phones of 2018. On the surface, it may seem like Apple has persisted with the same 12 MP + 12 MP dual camera set up at the rear but there are some subtle enhancements that take the eventual output a few notches higher than its predecessor. For starters, it has a new and larger 1/2.55-inch sensor with a 1.4-micron pixel size that captures more light and improves low light photography. The primary 28 mm wide angle lens has been replaced by a 26 mm counterpart, but the secondary telephoto lens is similar to the iPhone X and facilitates 2X optical zoom. Both lenses have optical image stabilisation. 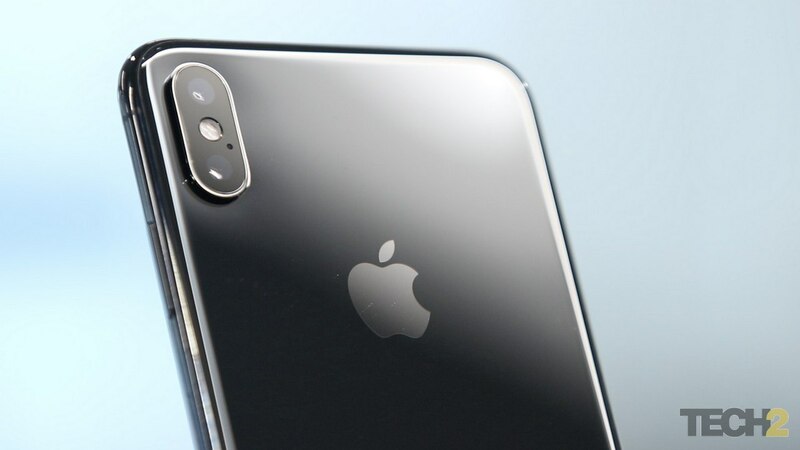 iPhone XS and XS Max also happen to be the first from the company to use computational photography and AI in image processing. The new iPhones do a brilliant job in well-lit conditions with accurate colours, high detail and excellent dynamic range. In not-so-perfect conditions, the Smart HDR function kicks in and takes a series of shots with various exposures and then merges them together algorithmically to give you the best image. Borrowing from Android phones of the past couple of years, the portrait mode gives you an option to adjust the background blur to make your portrait shots that much better. The major improvement in the iPhone XS and XS Max over the last-gen iPhones is in low-light photography. Though not the absolute best, it comes close and reduces the gap in performance between the current generation Apple and Google phones as compared to that between their respective predecessors. Video department is where the new iPhones truly shine. They are arguably the best in the business when it comes to capturing 4K video footage on a mobile device. The Pixel's and Galaxy's of the world don't even offer remotely comparable performance. There’s ample detail even in darker areas and the footage is well-stabilised. The sound recording in videos is excellent courtesy of the built-in stereo microphones. For budding filmmakers and video bloggers, the iPhone XS series is a great option. When we talk of phone cameras, it’s almost impossible to keep Samsung flagships out of the race, and it is no different this year. While the company recently debuted it’s a quad-camera phone, the ones that actually made it to our list of best phones of the year have just two lenses at the back. 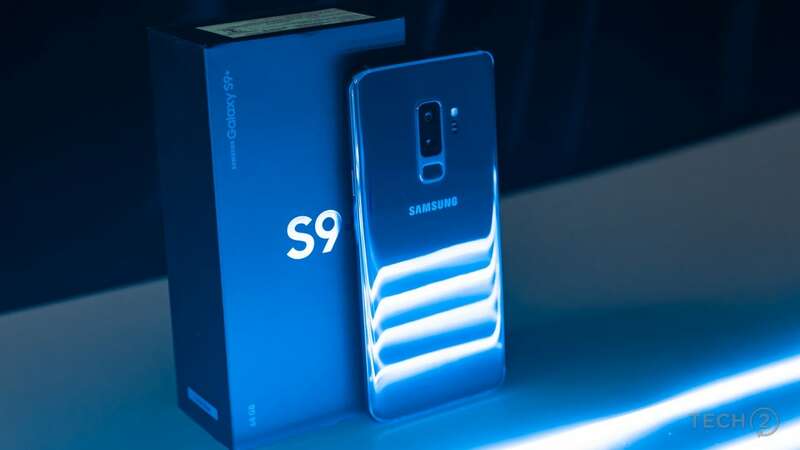 Samsung Galaxy S9 Plus and Galaxy Note 9 have similar camera modules, and while the Note 9 may be a better device overall, the camera features are mostly borrowed from the S9 Plus and polished further in the extra 6 months that the Note 9 had at its disposal before release. Hence we have included both. Samsung introduced a variable aperture system on the S9 Plus wherein the cameras could switch between f/1.5 and f/2.4 aperture depending on scene and lighting for optimum output. The company fine-tuned it further on the Note 9. The captured images have ample detail, true colours and arguably the best dynamic range. Low-light captures were excellent too with noise levels and saturation well in check. The Samsung flagship devices are also great with the video. They let you capture 4K footage at 60 FPS. However, it is advisable to drop the framerate to 30 for optical image stabilisation to kick in, if you aren’t using a tripod. The real fun is in shooting super slow motion videos. The Samsung Galaxy Note 9 and S9+ can record 1080p Full HD videos at 240 FPS and 720p videos at as high as 960 FPS. The derived slow motion effect is top notch. All and all, the Samsung flagships are fun devices with excellent cameras that don’t cost as high as their Apple or Google counterparts. Huawei flagships always had competent cameras but this year they took giant strides to take the big three head on and how. 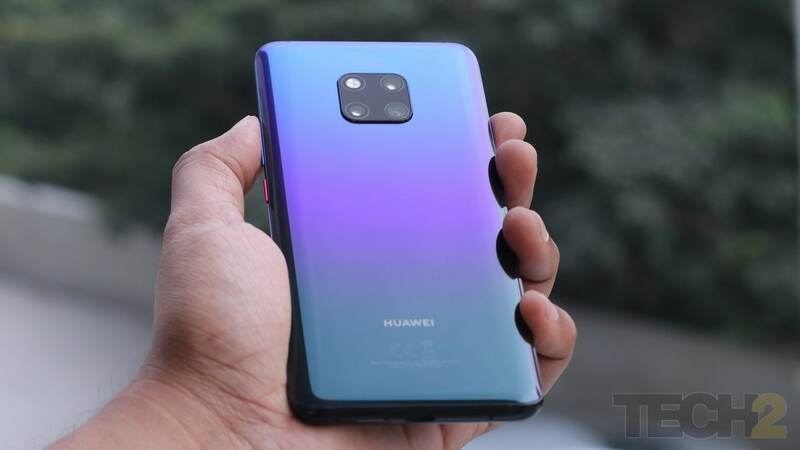 It all started with the triple camera system on the Huawei P20 Pro earlier this year and capped it with the Mate 20 Pro recently. While triple cameras is a gimmick on some phones, Huawei’s implementation is extremely smart. Huawei has opted for a combination of 40 MP sensor with 27 mm (f/1.8) wide angle lens, 20 MP sensor with 16 mm ultra-wide angle lens and an 8 MP sensor with an 80 mm telephoto lens. Each camera has a distinct purpose. The 40 MP main camera uses pixel binning and scales down the image using SuperHDR to a 10 MP picture but with lot more detail and great dynamic range than standard 10 MP cameras. The 20 MP ultra-wide angle camera lets you click macro shots from as close as an inch from the subject. And lastly, the 8 MP camera provides 5X optical zoom, which is a rarity on smartphones. All that is a theory, how good are the actual images? Since the phone has made it to this list, it’s a given that the image quality is top notch. While the images come out sharp and vibrant (as expected) under decent to good lighting, there are two modes that I would especially like to highlight here. The Huawei Mate 20 Pro can click some kickass macro shots with loads of detail, something not many phones can boast of. Secondly, the night mode is quite impressive on this handset. The images come out crisp with little or no noise, but the ultra-wide angle lens provides a whole different perspective and can help you click some impressive night shots. So there you go — the very best in the camera department in 2018. 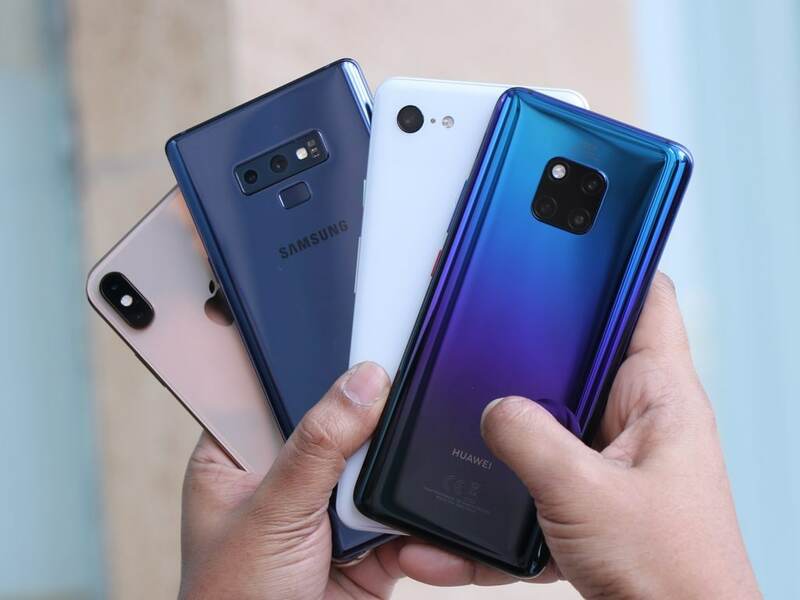 Samsung had also annonuced a quad-camera sporting smartphone this year, and rumour has it that Nokia will launch a 5-camera sporting flagship next year. Where will it stop? And will the next Pixel device finally add in an extra lens on the rear to keep up with competition? As we go into 2019, the era of smartphone photography is truly upon us. Let us know which cameras you think had the best camera implementation this year, in the comments.